To wine lovers, Mendoza, Argentina is known for it’s production of great Malbec wine. 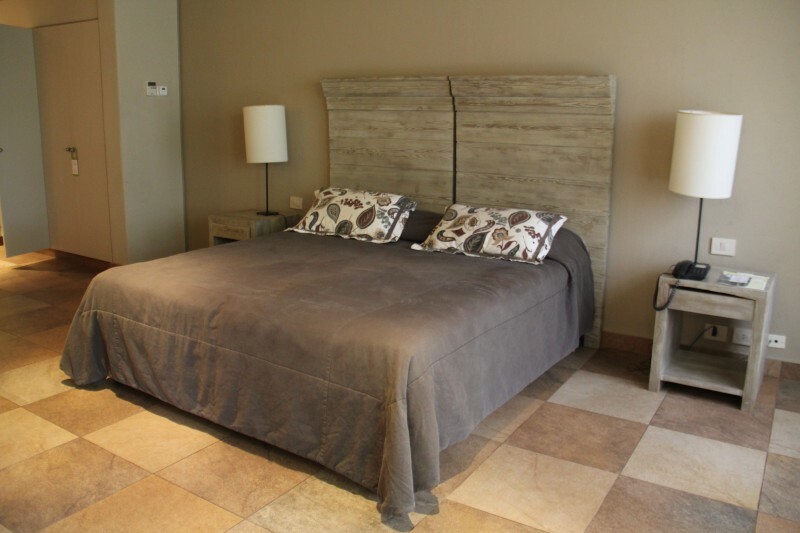 Throughout the province there are vineyards and wineries that are internationally renowned and some of them even offer relaxing lodging right on the vineyard. Around the city of Mendoza, there are three wine districts—Maipu, Chacras del Choria and Valle de Uco. 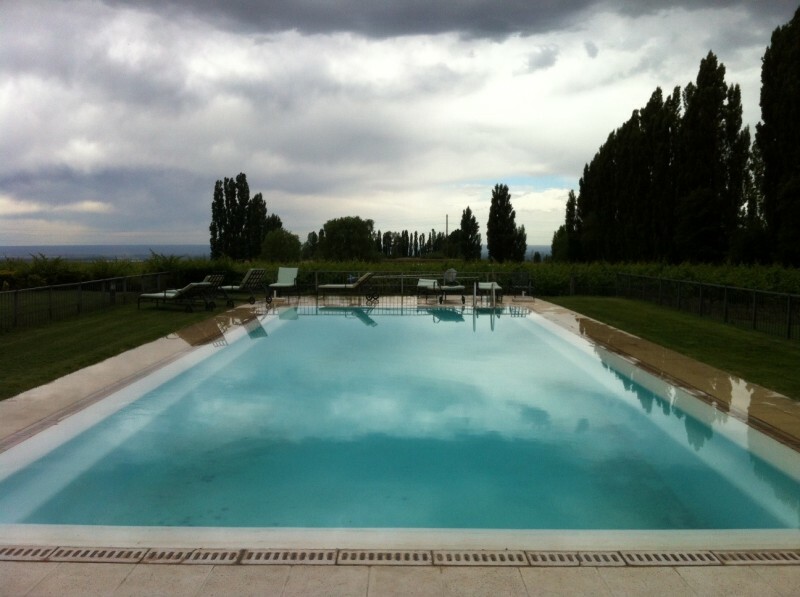 As a lover of malbec myself, I was looking forward to heading to Valle de Uco for a two night stay at Salentein Posada. 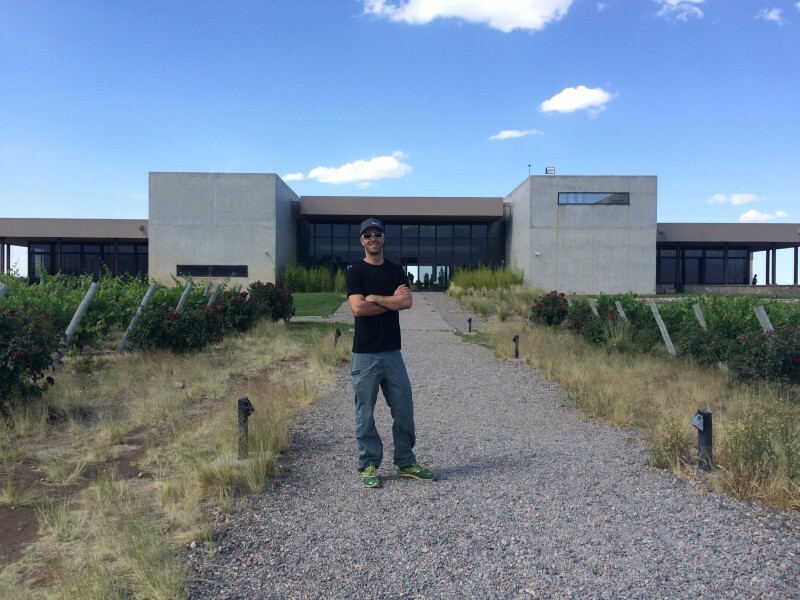 Salentein is the oldest winery in Valle de Uco and is on 4,942 acres of land on the foothills of the Andes. They make a variety of premium wines including lines from Salentein, Killka and Portillo. Posada Salentein is located on the vineyard’s property at the foothills of the Andes, but it’s 3km up a private driveway lined with Alamos trees from the bodega so you’re away for the hustle of daily visitors. 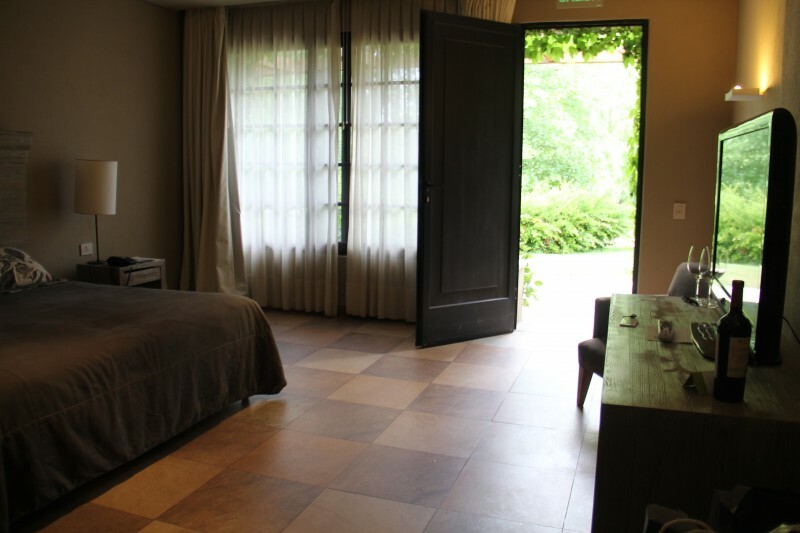 If you can, just imagine waking up in your room, stepping outside underneath a canopy of grape vines and surrounded by jasmine plants and walnut trees. All with a view of the vineyard sprawling across the valley. Our room was very well appointed and beautiful upon check-in. Overall it was very spacious and modern, which gives it a incredibly open feeling. There was plenty of space to settle our stuff and move around during our stay. Our superior room featured a large flat screen TV, a minibar, safe, large closets and large windows so you get a picturesque view from the bed. 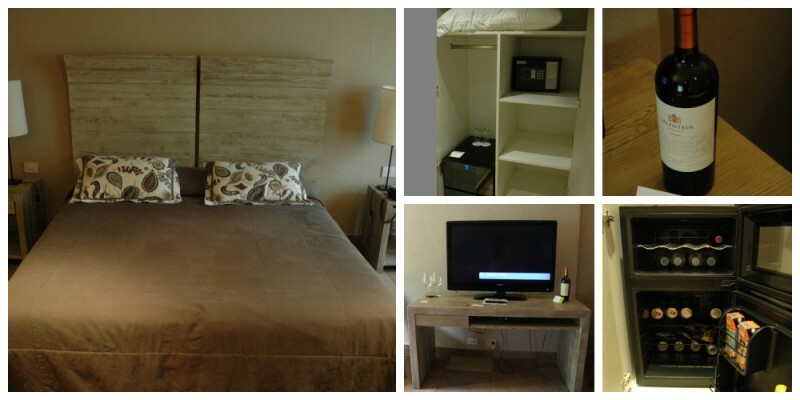 When we arrived to our room, we had a bottle of 2013 Salentein’s Malbec Reserve waiting for us as a welcome bottle. Our room had a large king-size bed and was incredibly comfortable for a sound nights sleep. 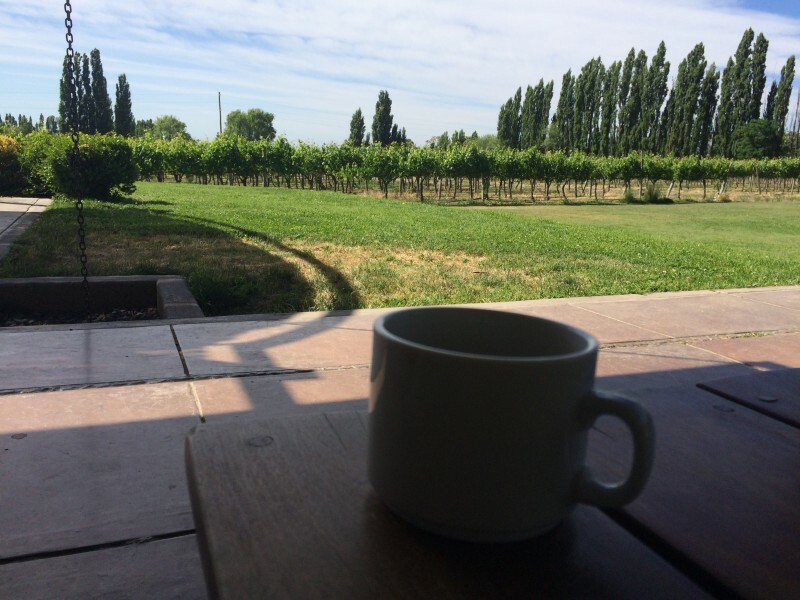 For breakfast, it’s just a short jaunt across the patio to the restaurant with floor to ceiling windows facing the acres of grapevines besides the foothills of the Andes. The weather was perfect when we were there so we had breakfast on the terrace looking out to the vineyard. 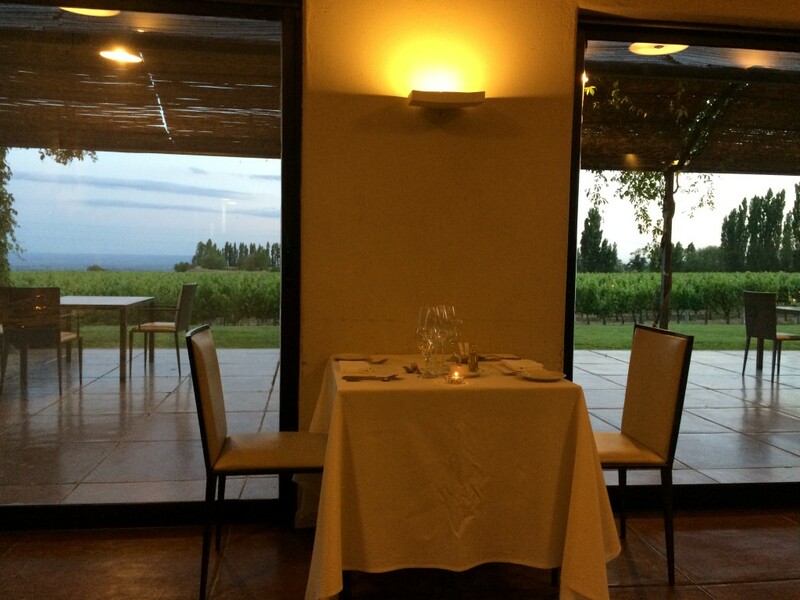 Dinner at the Posada restaurant which is only open for lodging guests, offers a three course dinner with a continuous flow of Salentein wine. The wine is paired with each course, which vary from steak to seafood. Their other restaurant, Killka, and the wine bar is located at the bodega just 3km down the drive. It is ideal that the Posada’s restaurant is exclusively for guests and it makes a very private and privileged dining experience. On the first night of our stay, the restaurant featured an asado, which means endless meat from the parilla. 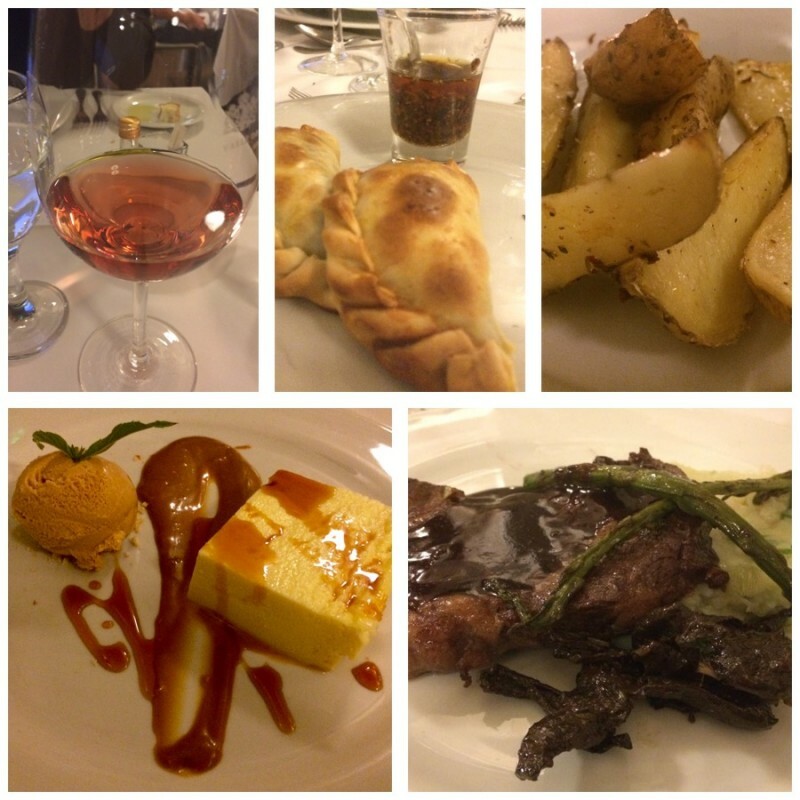 And of course there were empanadas, vegetables, dessert all accompanied by Salentein wine. The food during the asado was delicious, but the second night we were there for dinner we were offered a selection of options from the menu. The options ranged from steak to seafood. 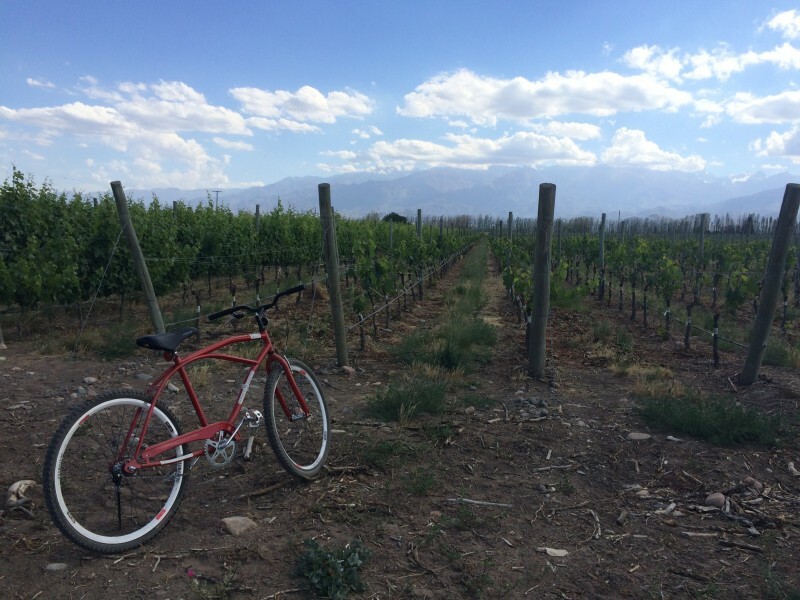 If you’re staying at the Posada, you can borrow one of the five single speed cruisers to ride down to the winery and to other nearby vineyards. The winery is about 3 km away from Posada and the road is lined with tall Alamos trees which offer some shade for the short journey. 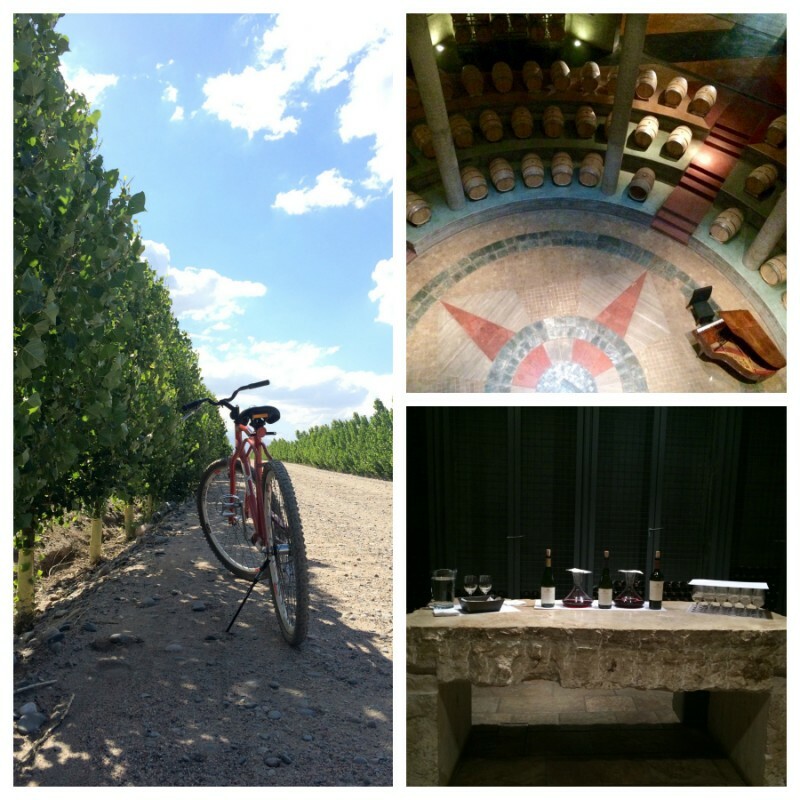 A tour of Bodega Salentein is complimentary for all guests of Posada Salentein. 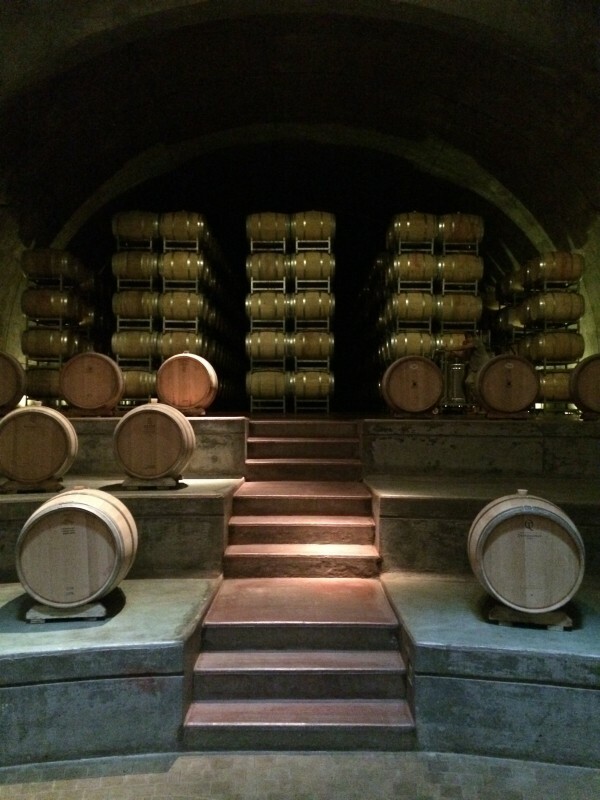 During the bodega tour you will be shown to the stunning cellar which houses the French Oak barrels of their premium lines. The barrels are organized so that there is an opening in the center of the room which has a nautical star in the center and a piano. How’s that for a first in a wine cellar? Twice a year they host a concert in the cellar which I’m sure has amazing acoustics, plus just picture yourself leaning against French Oak barrels. From one of the upper levels you can peer down into the opening of the cellar and see the organization of the wine barrels around a nautical star in the center of the room. 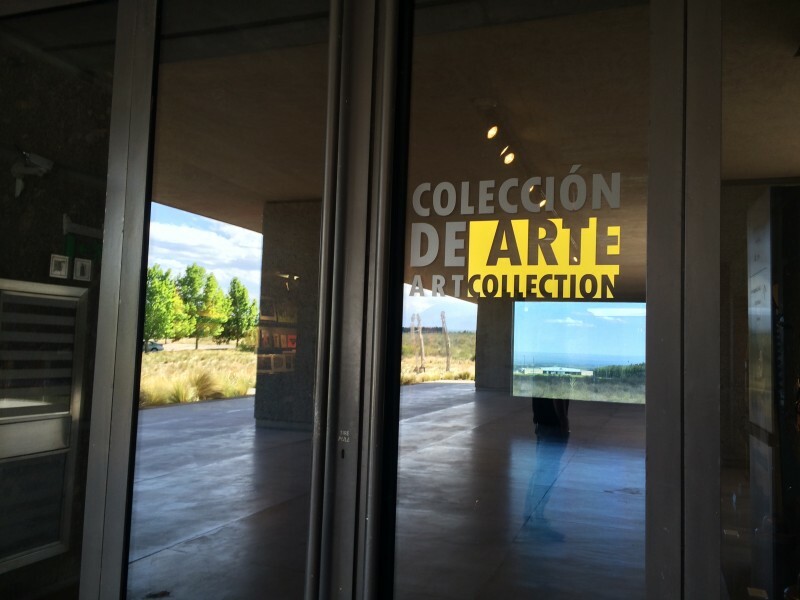 The entire property hosts not only the vineyard and lodging, but also an art museum that features contemporary art from both Europe and South America. Once you’re done with the wine tour, you can arrange a horseback riding session through the Salentein’s Finca San Pablo. 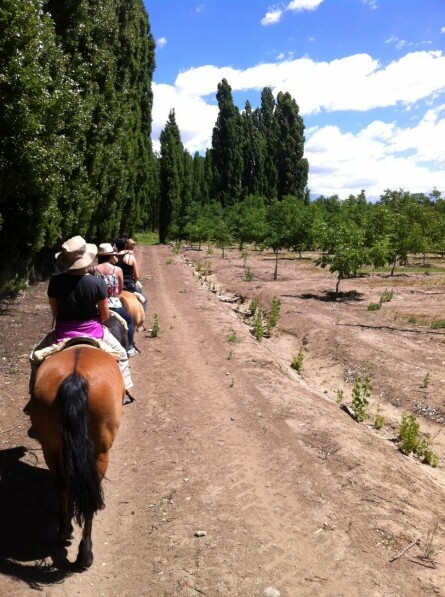 They’ll drive you to the finca where you can ride horses through Alamos and walnut groves all with a view of the Andes. It’s quite beautiful and scenic. Once your done wine tasting and horseback riding, you can lounge by the pool if the weather is nice with a view of the grape vines. During our stay the weather wasn’t perfect and it was still a bit cool, so we didn’t get a chance to use the pool. Around 18 km outside of Tupungato, Argentina. Ideal if you have your own car to visit other bodegas, but Posada Salentein can be reached by taxi as well. $175 per night without dinner and $280 per night with dinner. is available throughout the property and is fast. Breakfast was good with multiple options and dinner was simply amazing. Besides, who doesn’t enjoy endless wine? was immaculate, well designed and large. Overall it was airy and comfortable. The biggest drawback was no view of the vineyard or Andes. 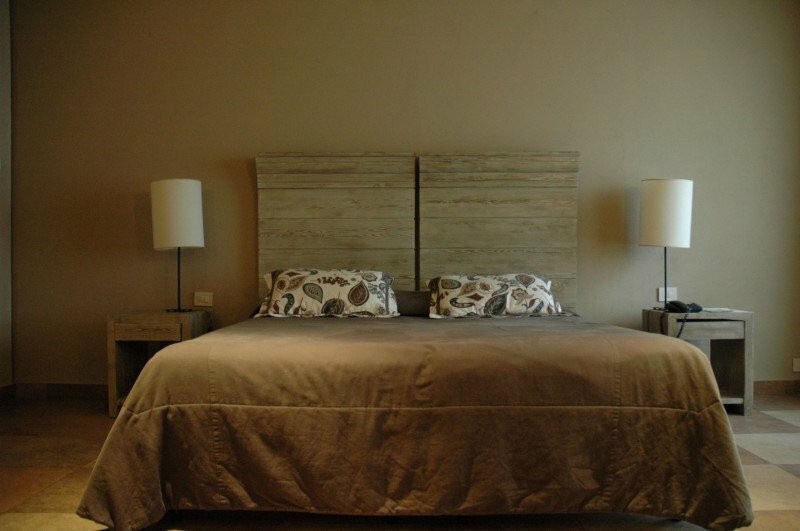 Overall Posada Salentein is a top-notch luxury retreat in Valle de Uco and I would certainly stay again when I am in search of a premium place to stay in Mendoza’s wine country. Disclaimer: I was a guest of Posada Salentein during this stay, but my review and opinions are solely mine without any outside influences.